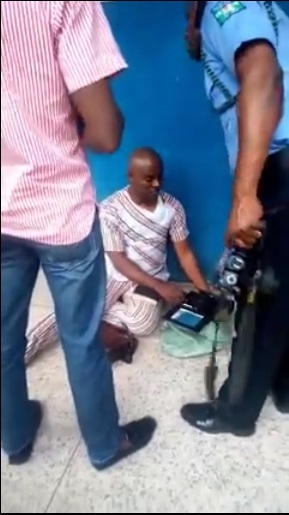 A fetish pastor has been apprehended by security operatives after assorted charms was found with him. A self-acclaimed pastor has been arrested by police authorities after he was allegedly caught with charms and other fetish items which he purportedly uses to collect money from the public. 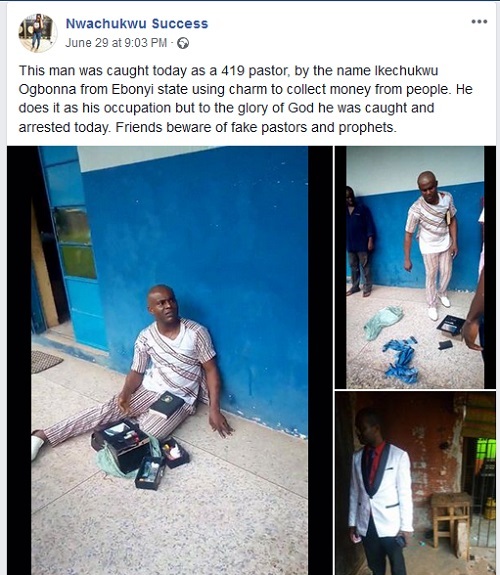 The suspected fake pastor identified as Ikechukwu Ogbonna from Ebonyi state was reportedly in the habit of using diabolical means to collect money from people while preaching and claiming to be a pastor. 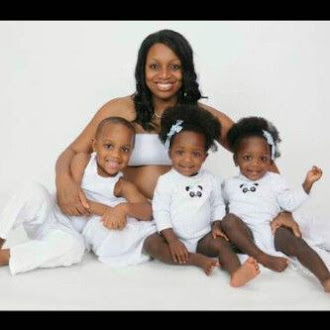 According to Facebook user, Nwachukwu Success who shared the story, fetish items were found in a box he was arrested with which also contained his bible and preaching materials. 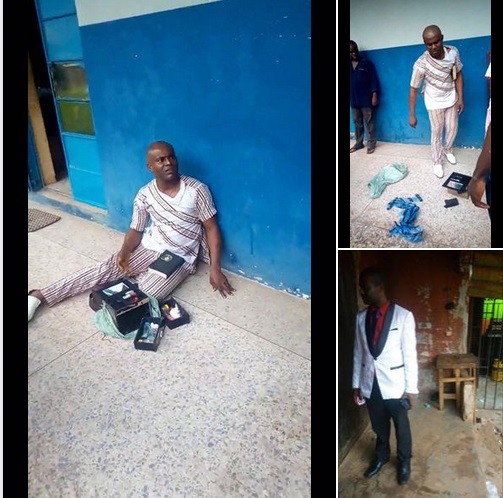 Sharing the news, Nwachukwu wrote: "This man was caught today as a 419 pastor, by the name Ikechukwu Ogbonna from Ebonyi state using charm to collect money from people. He does it as his occupation but to the glory of God he was caught and arrested today. 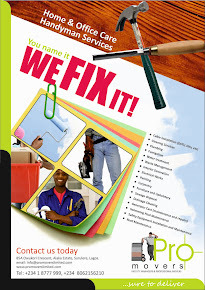 Friends beware of fake pastors and prophets."